Can't tell from the photo what kind of slate it is but it looks good. Can't see any other details. Here is a detailed image (not a good one, unfortunately - and it is wet out too. (1) Can anyone ID the type of slate used on my roof? (2) One of the previous owners obviously had a knucklehead repair done where one part of the house joins the other under the eve. 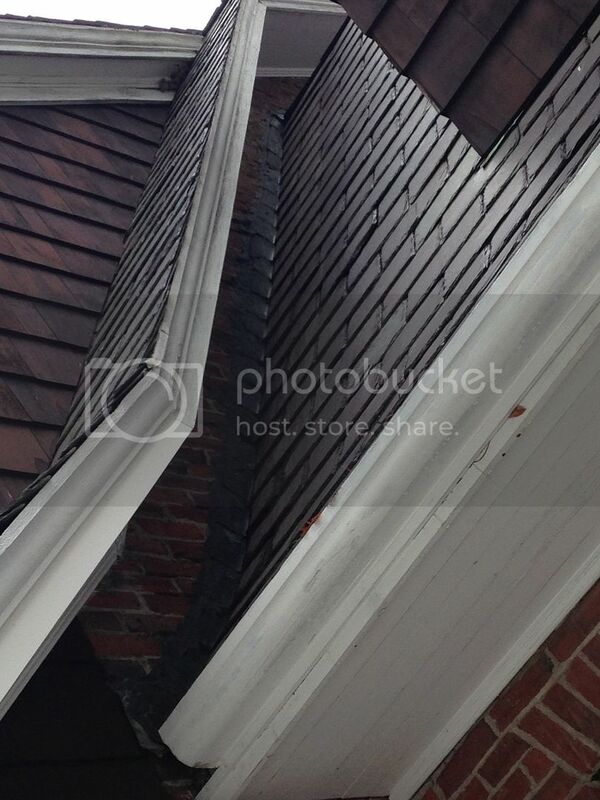 Where the slate joins the masonry, it looks like they put roof tar over the flashing. How big a job is this to fix? (3) Can that tar come off the brick? How does one remove tar?